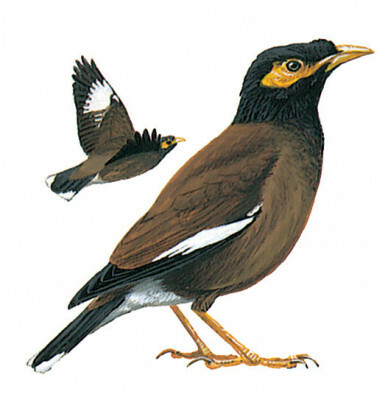 Plumage is deep brown, with a yellow bill and small yellow bare patch below the eye. In flight it shows a conspicuous large white patch across primary bases, on outer underwing-coverts and on tail corners. Walks on ground with an upright, strutting motion. A noisy bird.